Former MA Gov. 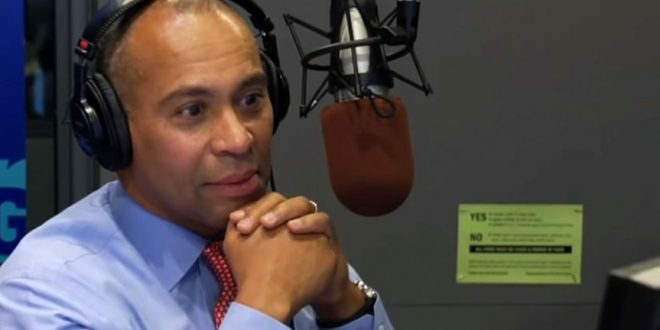 Deval Patrick Announces He Won't Run For WH In 2020, Cites "Cruelty Of Elections Process" - Joe.My.God. After a lot of conversation, reflection and prayer, I’ve decided that a 2020 campaign for president is not for me. I’ve been overwhelmed by advice and encouragement from people from all over the country, known and unknown. Humbled, in fact. But knowing that the cruelty of our elections process would ultimately splash back on people whom Diane and I love, but who hadn’t signed up for the journey, was more than I could ask. Our case for opportunity, equality and fair play has its roots in the founding aspirations of America. And it turns out those values still matter to people. That is our civic faith, and we’ll have to take care to keep it now — because what’s at stake today is not just the case for our party or the qualifications of a given candidate, but the character of the country.